Car collisions happen. We have all been there. Let’s make sure you know how to take the next step of your car collision repairs in Reno. 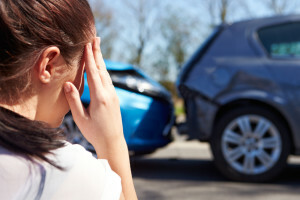 Don’t let car collision repairs in Reno be a headache. Visit your auto body repair shop in Reno today. Car collisions can cause your vehicle to need extensive repairs. Functional car damages would be any damage to your vehicle that causes you to not be able to drive safely or drive at all. Not all damage to a vehicle can be seen initially. There may be internal damages that require a trained eye to detect. As you try to estimate the costs of the car collision repairs, keep in mind these internal damages that you may not notice without expert help. You can prevent expensive damages to your car by addressing small cracks in your windshield before they become larger. Check your tire alignment after a fender bender at your auto body shop in Reno to ensure that you are not causing further damage when you are driving. You can save yourself from some expensive car damages by accomplishing this simple step. 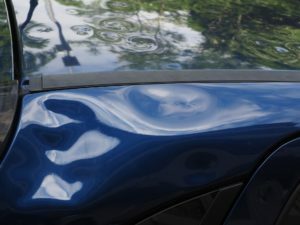 If your car has some dents from the collision, a cost effective option can be paintless dent repair. Ask the team at the Reno car collision repair shop if paintless dent repair is a viable option for your car. Reno car collision repairs include services like dent removal. If you are in a fender bender or another minor car collision, you will still want to have your car repaired. Any damage of the car collision on the body of the car — like a dented door or bumper — can affect the sensors of your airbags. When your car model was crash tested, the manufacturer created timers and built in sensors that responded to impact of a car in perfect condition. It may seem like a needless cosmetic repair, but the impact of a ding or dent can have greater consequences. If you seek seemingly cosmetic car collision repairs early, you can save in the long-term by keeping you and your passengers safe. You can also protect your car from further cosmetic damage by adding to your car a front bumper guard or cover. In may car collisions, the insurance companies will provide you a list of auto body repair shops in Reno and Sparks that they suggest. Many people think this means only auto body repair shops on that list will be allowed on the policy. On the contrary, you as the vehicle owner can take your car for car collision repairs to any Reno auto body shop you choose. You may find a better deal if you use your trusted auto body shop than a shop you’ve never used before. Car collision experts in Reno can assess the damages from the accident and provide an estimate of the repair costs. Estimates of your car collision repairs will be a sum of both new parts and the man hours required to fix the vehicle. At Liberty Collision in Reno, we can help you with all car collision repairs in Reno and Sparks. Our qualified team can help with everything from paintless dent repairs to power window repair. The Liberty Collision team, with more than 25 years of car collision repair experience, can repair your car and get you back on the road safely. Contact us at Liberty Collision for an estimate on your car collision repair in Reno today!